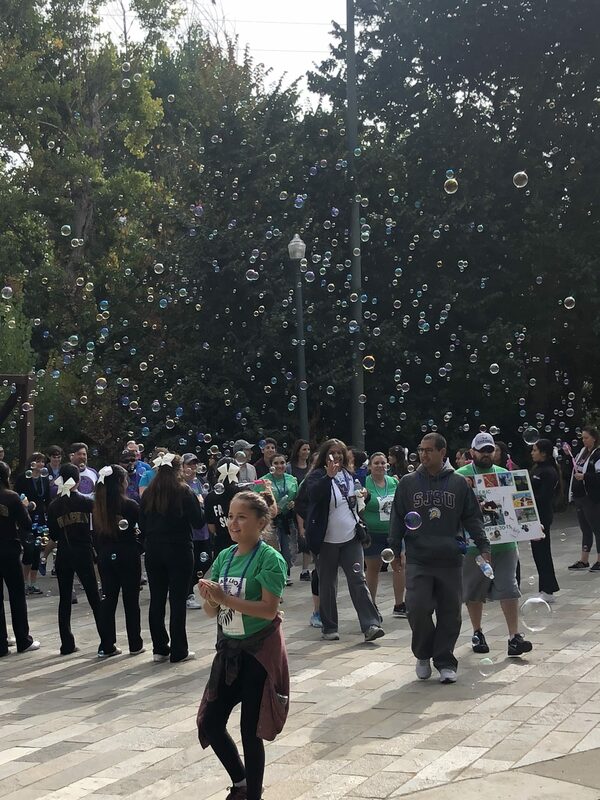 On Sunday, October 21, the South Bay Out of the Darkness Walk to Fight Suicide took place starting at Arena Green West in San Jose. The signature fundraising series of the American Foundation for Suicide Prevention, these walks take place in more than 400 communities across the country. James Purvis, who was responsible for founding the South Bay walk in 2011 and refers to it as his “baby”, took to the stage before the walk began and spoke candidly about how much the event means to him. Despite currently battling plasma cell cancer, Purvis has been determined to keep the walk going. He recalled being curled up on the couch at one point recently, sick from the side effects of chemotherapy, yet motivated to get back on his feet so he could get this year’s Out of the Darkness rolling. At the event, Purvis was pleased to see the donation tally passing the day’s goal of $95,000. At press time, $103,330.32 has been raised, from 781 participants who walked on 103 teams. 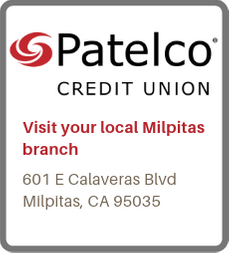 Donations are still open until December 31, 2018, and being collected online here. Amid the large crowd of walkers, many held moving and colorful signs, bearing pictures of relatives and friends lost to suicide, while vowing to honor their lives and keep their memory alive. Grilli, who recently championed a unanimously approved Suicide Prevention Policy for Milpitas, found her life changed forever when she lost her sister, Sharon, to suicide. Having lost a sibling, Grilli wore orange beads for the ceremony. Her nephew Sean, having lost his mother, wore gold. Amanda Ziemer, who works as an ambulance coordinator, walked in memory of her friend Anthony, a military servicemember who died by suicide, and in acknowledgment of her own history of depression and anxiety (starting at age 15), and history of suicide attempts. “There’s a lot of people who don’t have voices,” Ziemer pointed out, noting that in her work, she routinely orders ambulances for young children who’ve attempted suicide, oftentimes at under 10 years of age. “The youngest was 6 years old,” she said. These children are generally transported to psychiatric facilities after their attempts. Whereas depression and anxiety are commonly cited ailments relating to suicide, a spectrum of other mental health disorders carry high suicide risks, as well. Tim Schwalbach walked mainly because he has Body Dysmorphic Disorder (BDD), a disorder wherein one experiences perceptual distortions relating to one’s own physical appearance, such as fearing that a certain scar looks unsightly, or that a small mole is highly visible to onlookers. Those with BDD often remain silent about their symptoms for fear of appearing vain. Likewise, it’s not unusual for people with the disorder to avoid public spaces and social interactions, for fear of being physically scrutinized. Schwalbach described the illness as “a perfect storm.” In all, 58% of people with BDD experience suicidal ideation (thoughts of suicide). Although a great many of those who walked carried sad and traumatic memories, the spirit of the day was marked by energy and even a touch of buoyancy, as it came as a relief for the participants to have a space in which they could acknowledge and confront the reality of suicide, as opposed to suppressing or denying it. 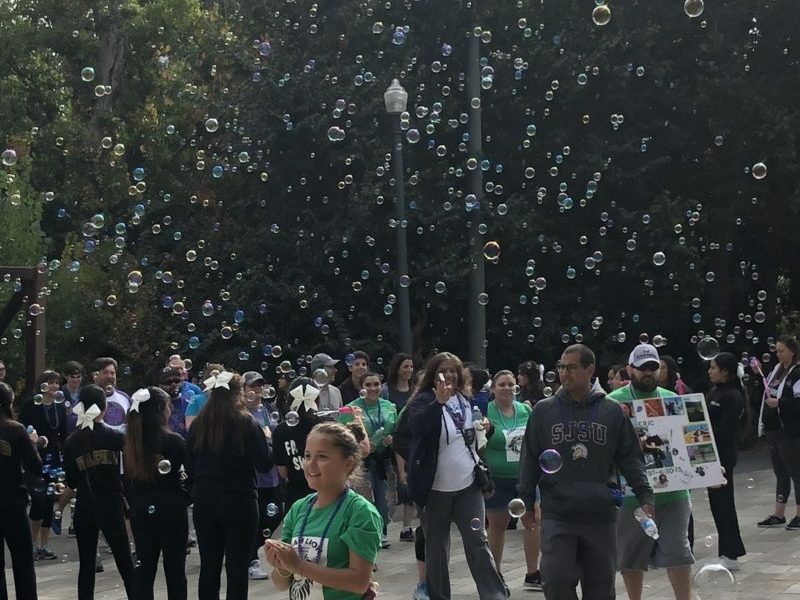 Indeed, at the walk’s end point, rows of volunteers blew bubbles, creating a colorful greeting and a sense of homecoming. Any reader experiencing suicidal thoughts can phone the National Suicide Prevention Lifeline 24 hours a day at 1-800-273-8255. Help is always available. Any reader interested in guidance on communicating about suicide (which this reporter found helpful) can go here.